This entry was posted in Better Angels Stories and tagged 343, 9/11, better angels, Dawn Siebel, FDNY, firefighter, firefighters, firefighters of 9/11, James Amato, LODD, Manhattan, memorial, NFFF, paintings, portraits, Squad One, World Trade Center, WTC. Bookmark the permalink. 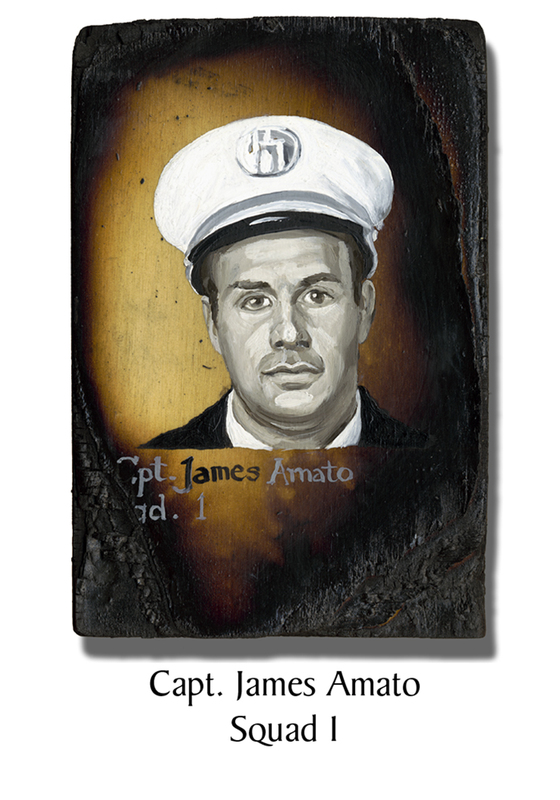 I was recently at the 911 Memorial & saw James Amato. James Amato & Andrew from the Bronx, NY are first cousins whom we lost contact with many years ago. I would love to know if this man who is a hero is my first cousins Son?